Yeoal's Blogzine™| Nigerian Urban, Gossip and Entertainment Site: Don Jazzy campaigns to become president? 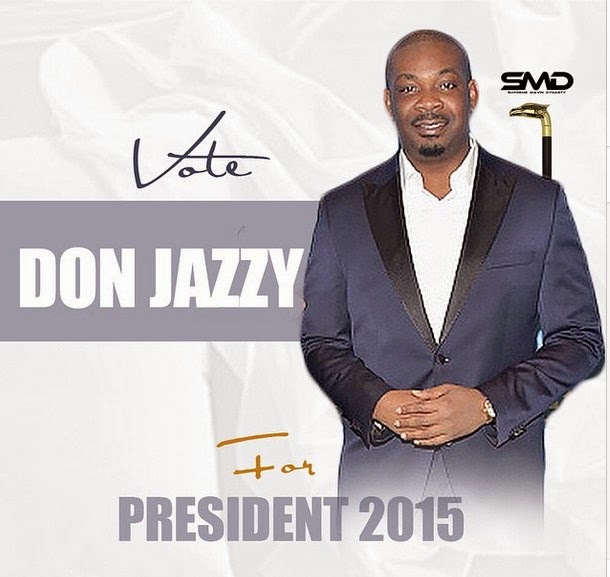 Don Jazzy campaigns to become president? The musician and producer who was a year older yesterday, released this poster announcing his presidential ambition. I'm believing he is just messing around with this poster as there is no party called SMD, but if it were true, would you vote for him?